[PDF] Copyright (2017) American Institute of Physics. This article may be downloaded for personal use only. [PDF] [Suppl. Info] Copyright (2016) American Institute of Physics. This article may be downloaded for personal use only. [PDF] Copyright (2015) American Institute of Physics. This article may be downloaded for personal use only. [PDF] Copyright (2014) American Institute of Physics. This article may be downloaded for personal use only. [PDF] Copyright (2013) American Institute of Physics. This article may be downloaded for personal use only. 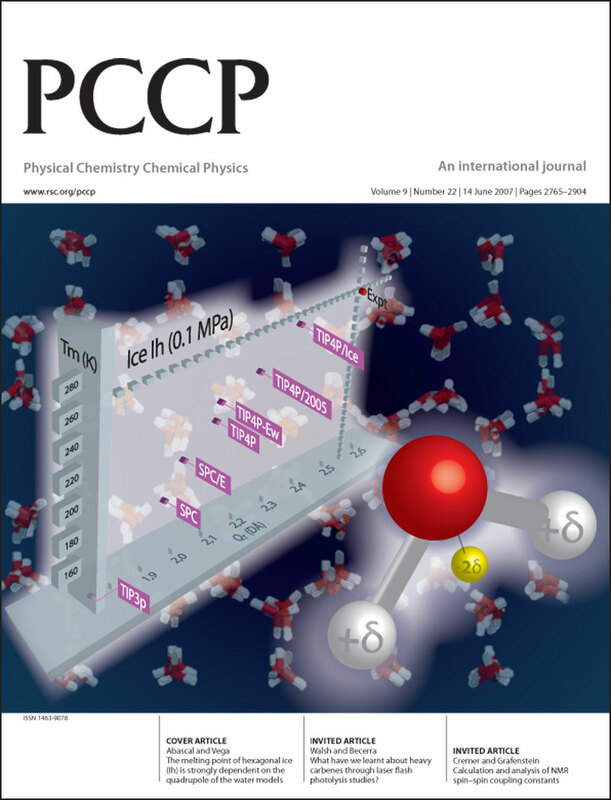 Journal of the American Chemical Society 135, 15008-15017 (2013) . [PDF] Copyright (2011) American Institute of Physics. This article may be downloaded for personal use only. [PDF] Copyright (2010) American Institute of Physics. This article may be downloaded for personal use only. [PDF] [Supplemental materials] Copyright (2010) American Institute of Physics. This article may be downloaded for personal use only. Can simple models describe the phase diagram of water?